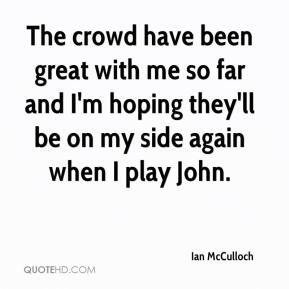 The crowd have been great with me so far and I'm hoping they'll be on my side again when I play John. It was a pretty good turnout in spite of the weather, and the crowd was very well behaved. 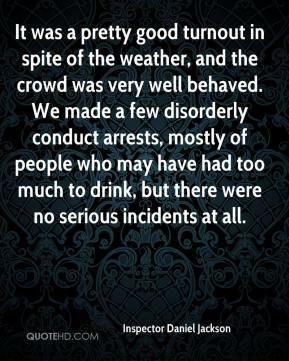 We made a few disorderly conduct arrests, mostly of people who may have had too much to drink, but there were no serious incidents at all. 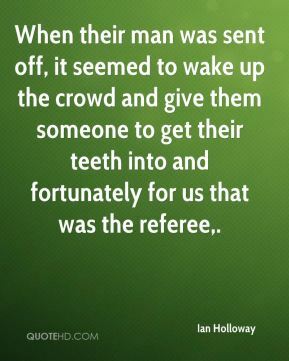 When their man was sent off, it seemed to wake up the crowd and give them someone to get their teeth into and fortunately for us that was the referee. I'm an emotional player. I like playing under pressure and the crowd backing us up. I like to get kills in the clutch. 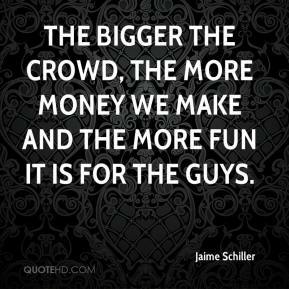 The bigger the crowd, the more money we make and the more fun it is for the guys. 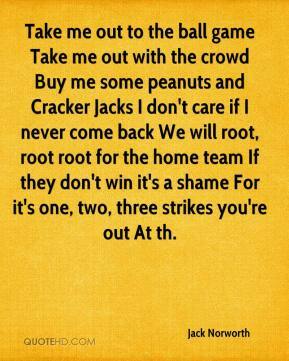 Take me out to the ball game Take me out with the crowd Buy me some peanuts and Cracker Jacks I don't care if I never come back We will root, root root for the home team If they don't win it's a shame For it's one, two, three strikes you're out At th. Slate's very, very hard. 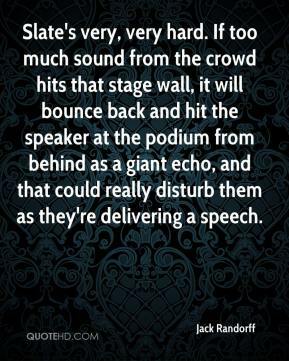 If too much sound from the crowd hits that stage wall, it will bounce back and hit the speaker at the podium from behind as a giant echo, and that could really disturb them as they're delivering a speech. 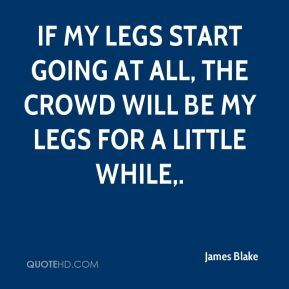 If my legs start going at all, the crowd will be my legs for a little while. 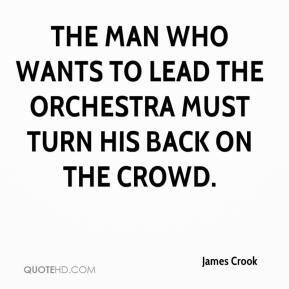 The man who wants to lead the orchestra must turn his back on the crowd. I was giving the crowd a little show, ... It's the first time I've ever done that. 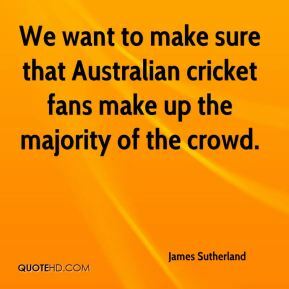 We want to make sure that Australian cricket fans make up the majority of the crowd. 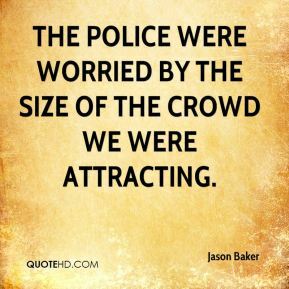 The police were worried by the size of the crowd we were attracting. 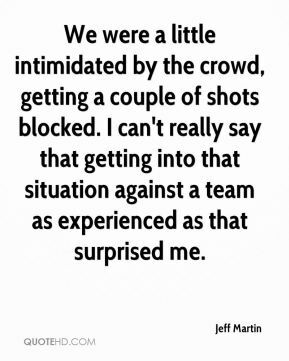 I didn't think the crowd affected our free-throw shooting or (that) the crowd affected the way we played. It was just North Carolina fans who love their team and wanted to come and support them. I wish one day we have that. He was looking down from above and really proud of the crowd and he's really excited, and I think he feels like we created the right kind of party atmosphere to send him off. 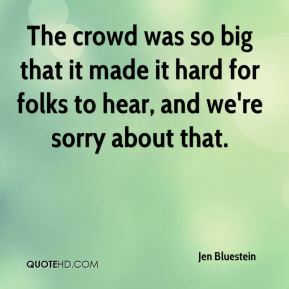 The crowd was so big that it made it hard for folks to hear, and we're sorry about that. 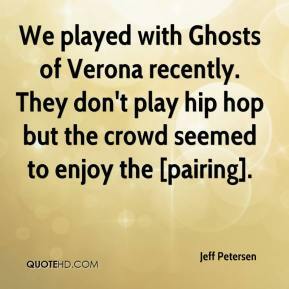 We played with Ghosts of Verona recently. They don't play hip hop but the crowd seemed to enjoy the [pairing]. 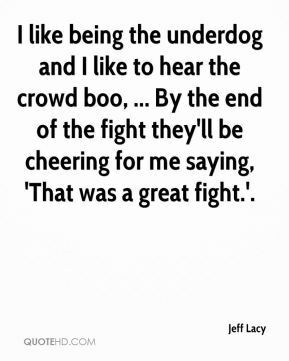 I like being the underdog and I like to hear the crowd boo, ... By the end of the fight they'll be cheering for me saying, 'That was a great fight.'. 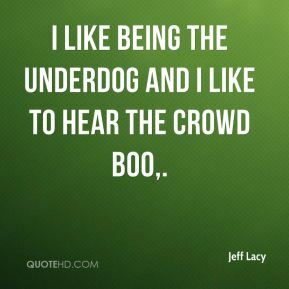 I like being the underdog and I like to hear the crowd boo. We were a little intimidated by the crowd, getting a couple of shots blocked. I can't really say that getting into that situation against a team as experienced as that surprised me. I'm having a great time. 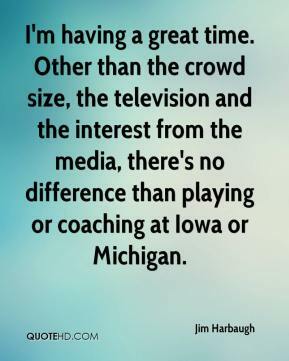 Other than the crowd size, the television and the interest from the media, there's no difference than playing or coaching at Iowa or Michigan. I see a few familiar faces here in the crowd. I love playing on the road. There's nothing like it. 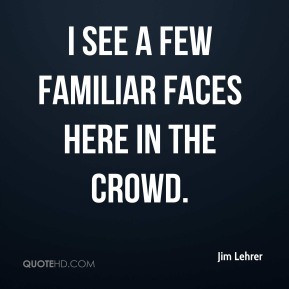 When you hear the crowd boo on the way out (to the floor) - that gets my adrenaline pumping. It's the same with the rest of the team. Our main focus today was to come out and quiet the crowd. We didn't want them in the game the whole time. We had the goal of keeping them quiet. 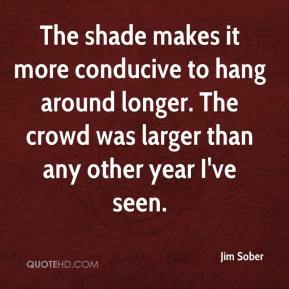 The shade makes it more conducive to hang around longer. The crowd was larger than any other year I've seen. 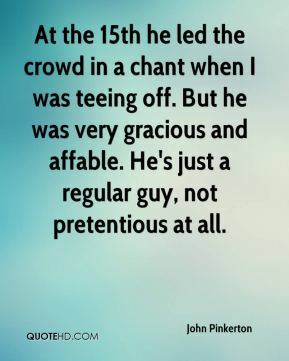 At the 15th he led the crowd in a chant when I was teeing off. But he was very gracious and affable. He's just a regular guy, not pretentious at all.